If I’ve learnt anything from mindfulness training, it’s that you don’t have to find huge blocks of time to refocus. If you can find just one minute between meetings, after a difficult email or phone call or when your to-do list is freaking you out, that’s all you need. Take 5 deep breaths, bringing your focus inward and consciously slowing down. It’s like your own personal restart button. Yeah, yeah. I know you know about this one. It’s not the same as just stretching your legs by walking to the fridge either. You need to get outside and breathe in nature, even if your office is in a concrete jungle. The oxygen to your brain will refresh you, meaning once you’re back at your desk, you’ll be more productive and positive than before. This is the time management method developed in the late 1980s by which you work hard for a 25-minute burst followed by a 5-minute break. This strategy really helps me to focus. I select only one particular task to work on in each finite time frame. The breaks refresh me and I use them however I need - to make a quick snack, throw on a load of washing or scroll my Instagram. Cumulative productivity earns you rewards with 4 pomodoros giving you a 15-30 minute break. The goal is to enhance focus and flow. Anyone else feel sick looking at their to-do list? While there is certainly a purpose for making lists - they help me to feel in control of the many facets of my life - they are too overwhelming in their naked form. A former colleague of mine took them to the extreme, covering her desk with more than 20 fluorescent post-its at any one time! Choose three things only as your top priorities for the day. It is manageable and you’ll feel great when you achieve them. Once you’ve ticked them off, add three more! 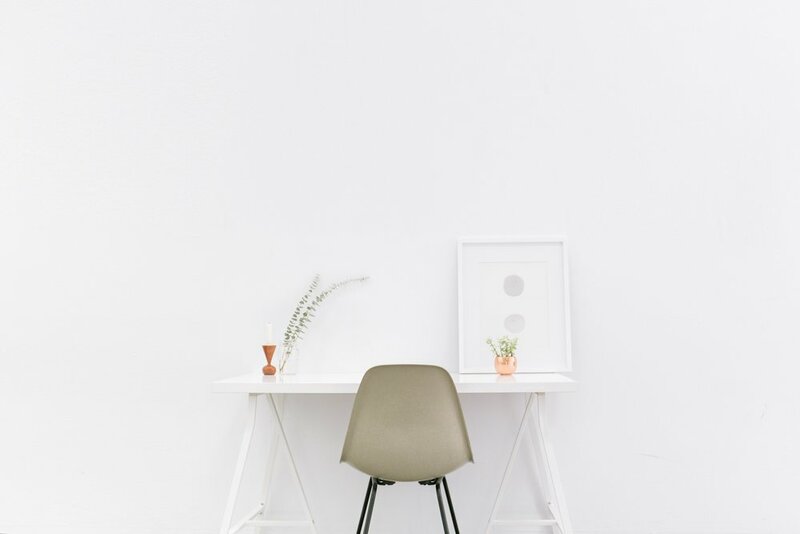 You may not be able to do much about the physical parameters of your workspace, but you can pretty it up. Add colour, a mood board, tear-outs from magazines, drape fabric or pin photos. Make your space somewhere you are happy to sit and you will begin to look forward to spending time there. I love to be able to see flowers or candles from where I sit, as well as photos of my family as they inspire me and keep me motivated. Not only that but, when you do, eat mindfully. We’ve all been guilty of eating while working, paying no attention to the flavours and textures of our food. When you take a break from your work, and step away from your desk to eat, it makes a difference to how much you enjoy your food, while giving you a brain break too. After my toddler goes down for a nap, I light a candle and put on some relaxing music before firing up my computer. The bonus is that the scent from the candle relaxes me and the music slows my mind down, allowing me to transition more smoothly into work time. Add Contact Emma McMillan to the top of your priority list for tomorrow!